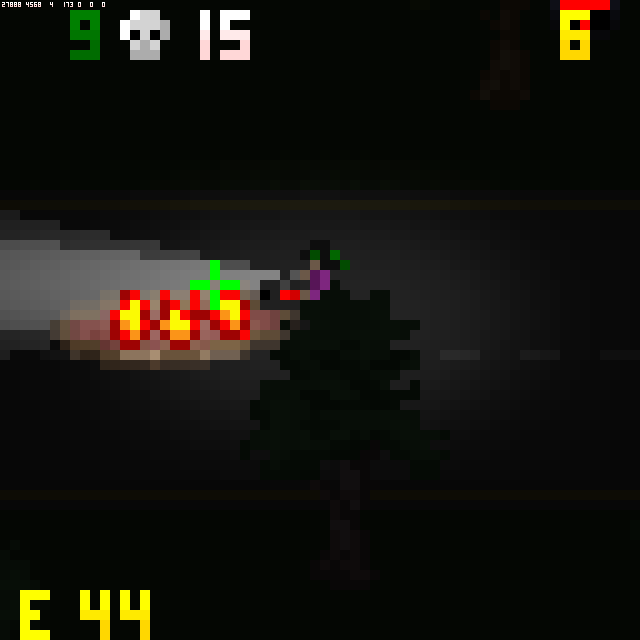 Very fun game, the 2d lighting is very cool and I like all the weapons. Awesome entry! It was fun to play it! Nice controls and I've liked the difficulty ramp, nice job! Thanks for all the comments! Please rate the game! Constructive criticism is welcome! I know some things are not self-explanatory and just mentioned on the game's page in details. The X signs are power up drop places, never drops where you are. You need to take the time between waves to find the packages (always two of them, can be weapons, health, speed upgrade). 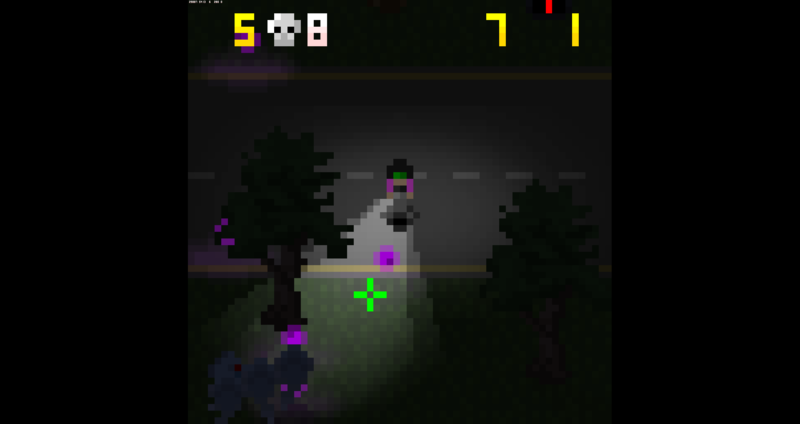 There are three enemy types: normal zombies (lots of them), ghosts and some furry white masked quick and agile guys. 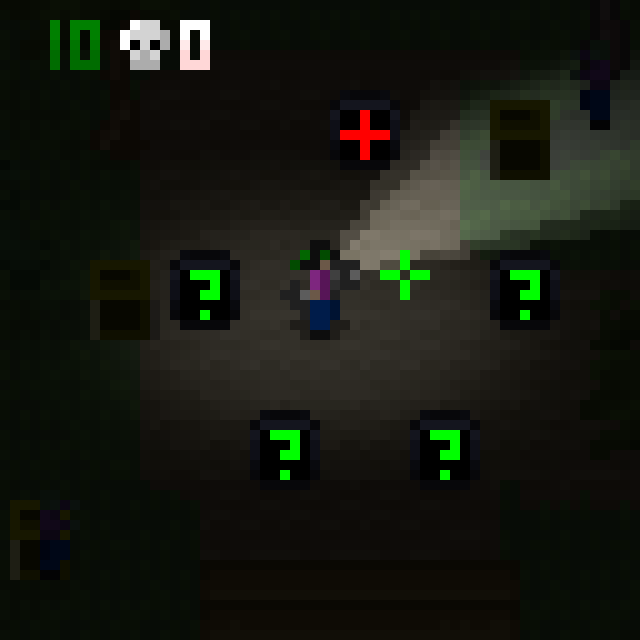 Zombies are in every wave, other enemies are from wave 3. 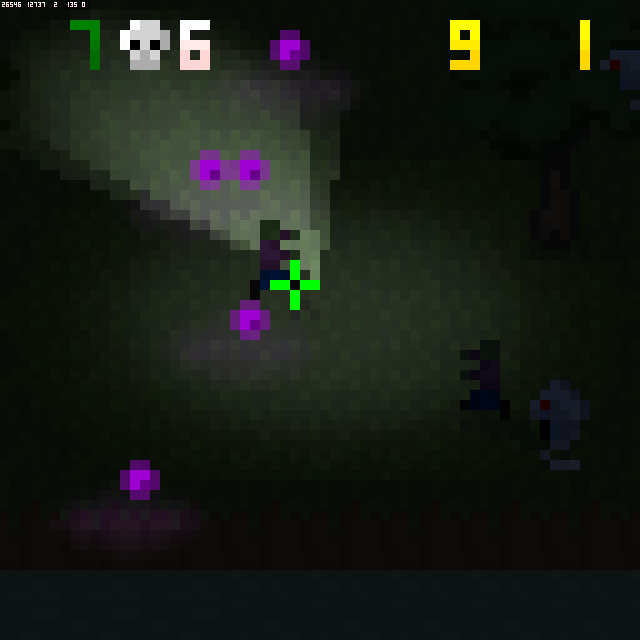 Each wave has more enemies and they are also getting stronger. There is no ending. You survive as long as you can. 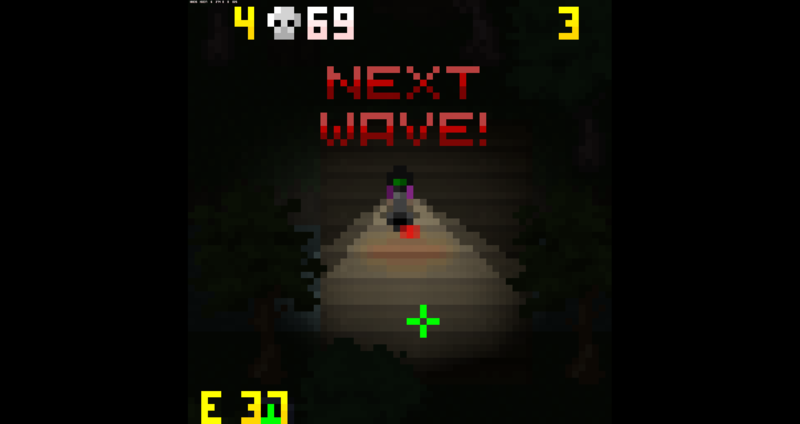 You get points for killing so for achieving higher scores, you need to survive more and more waves. The "?" weapon packages can be great or disastrous, but in overall, there is more possibility to get better weapon in later waves. High risk, high reward? Or epic fail? As you can see, I kept older versions too. I had fun playing this. I had this feeling while playing that whatever tension the game was trying to build was failing, then BAM! some new form of mob charges at me and actually provided a good little spook! The game is rather easy, until it's not. Lots of nice subtle details in the graphics. Namely the shadows cast by your flashlight, and the reflections in the water. 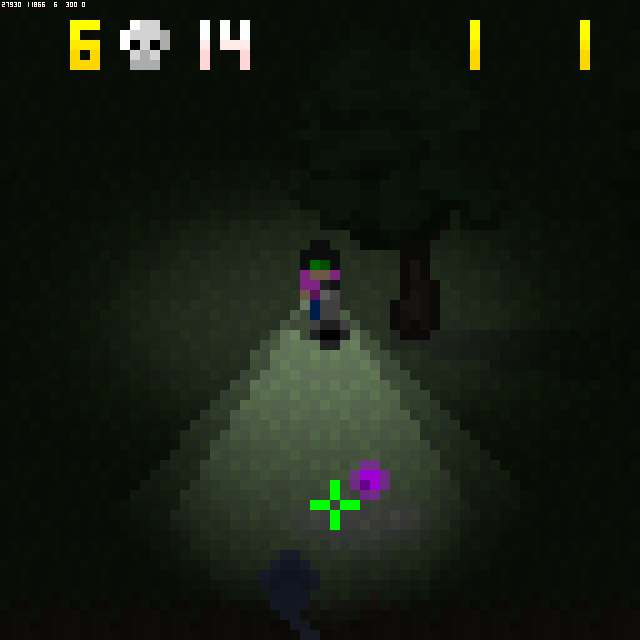 The colorful art style doesn't seem to fit the mood of a dark survival game, but other than that they are well-done and consistent, and work well within the 64x64 limits. So far, one of my favorites of the entries I've played so far, although I haven't gotten around to playing a lot of them yet. There is just too many to choose from! Please rate and comment, any kind of feedbacks would be very helpful! This game is fun to play, I liked it. 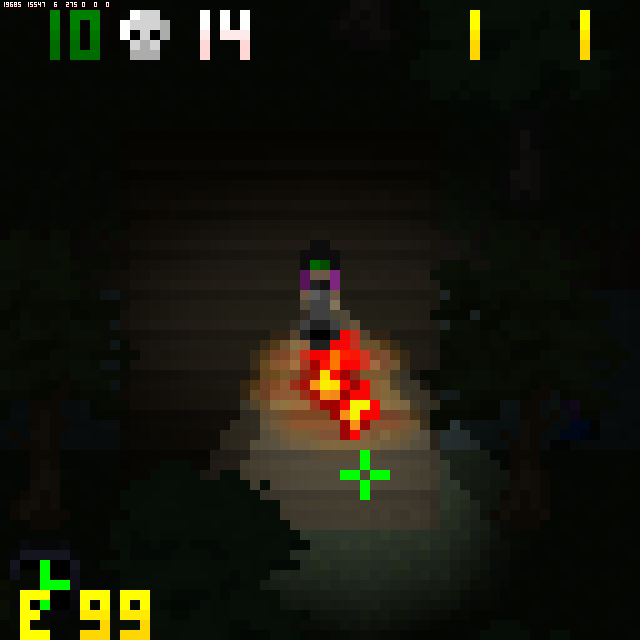 You have to survive the zombie horde in waves in a dark forest. 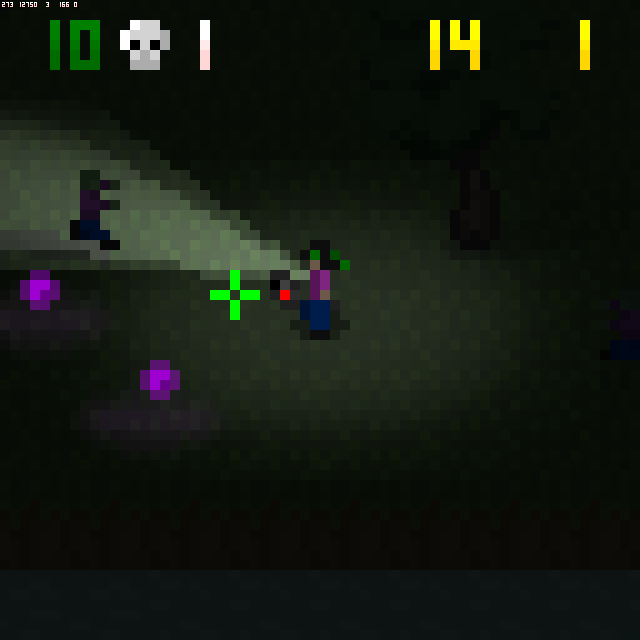 You have a flashlight to see in the dark and a gun to kill the enemies. I didn't find too much weapons but what i found was looked cool and it was very useful. Killing the monsters is fun but there is only a few kind of enemies are in the game. 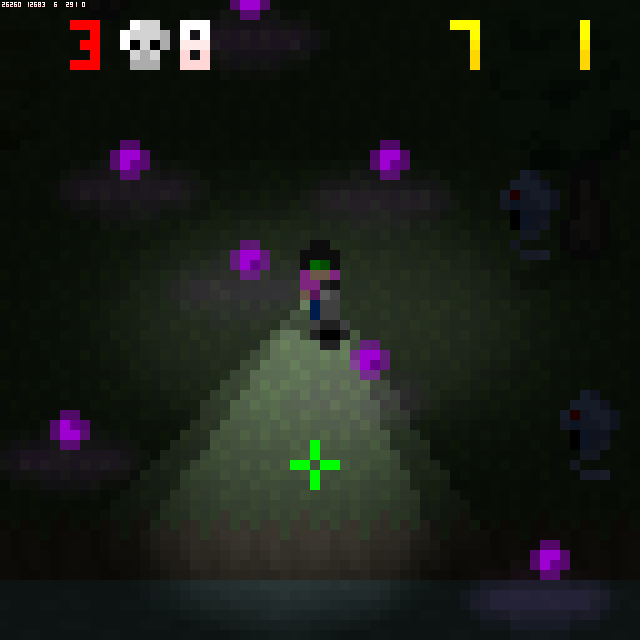 After the download you will get a nice little game, whit lot of zombies, random power-ups and a cool flashlight in a creepy retro pixel forest. Your mission is to survive. You fight the horde in waves which is nice. I like the style, the effects are good, but this game needs more killable zeds.